Bladeless LASIK surgery options - William Goldstein, M.D. recommended to treat the condition. While performing LASIK surgery in Detroit, the surgeon uses a laser or a blade to create a hinged flap in the eye. Bladeless LASIK surgery, Detroit is an advanced method of treating eyesight problems. However, there are several variation in bladeless LASIK surgeries too. The surgery recommended by your surgeon to treat your vision related problem again depends on the kind of laser used for the treatment. Femtosecond laser is used to create a small, thin flap in the eye. The flap is lifted temporarily from the cornea. The second kind of laser used for the surgery is excimer laser, which helps in reshaping the cornea by directing the laser to the eye’s exposed surface and removing the tissue. Here is a detailed look at the four kinds of bladeless LASIK surgery, Detroit. The method is considered a benchmark in LASIK eye treatment and it relies on femtosecond laser. Among the most commonly performed bladeless eye surgeries in the US, IntraLase LASIK was also the first of its kind to be approved by the FDA in 2001. The treatment can also be coupled with any other Excimer laser eye surgery, as prescribed and approved by the surgeon. Approved by the FDA in 2004, Femtec LASIK treatment uses femtosecond laser to create the flap. 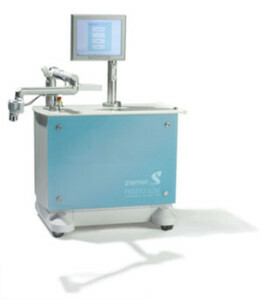 This method too can be used in combination with any other excimer laser-based eye treatment approved by the surgeon. Also known as ZLASIK, the surgery is performed using femtosecond laser. It got approval from the FDA in 2008 and is also preferred by surgeons to treat vision related issues, mostly in combination with another bladeless surgery that uses excimer laser to create the flap. Approved by the FDA in 2007, Visumax is performed using the femtosecond laser along with excimer laser (Carl Zeiss Meditec Mel 80). However, the surgery is not approved in the US as yet. Bladeless LASIK treatment is certainly a simple and quick way of improving your eyesight. However, it is vital to follow your surgeon’s advice before, during and after the surgery, irrespective of the treatment you choose.